Winter is the time to make kjötsúpa, a traditional lamb soup that’s like Iceland in a bowl, and we were impatient to recreate it following our trip there last spring. Fragrant with the sweet earthiness of winter vegetables packed into a nourishing lamb broth, this warming soup is a delicious sum greater than its humble parts. We’re always alert to dishes that can be localized with our own ingredients, and from the first spoonful, we knew we’d be able to source it almost entirely from the Winter Farmers’ Market. As for its claim as the best cure for the season’s short-day depression and relentless colds, all the better. Like most traditional dishes, kjötsúpa is one based on home cooking, and what one would have on hand — a bit of lamb that’s left clinging to bones, vegetables that store easily over winter, and a broth that makes itself while the soup simmers away. Each ingredient is cut small enough to fit in the belly of a spoon, yet chunky enough to feel substantial when eaten, and is added in stages to keep the flavor of the individual vegetables clear. The rutabaga is important for balancing the richness of the lamb; turnips may be substituted, especially Gilfeathers if you can find them (they’re actually another rutabaga), but will contribute a different flavor. While this soup can be served when ready, letting it sit overnight allows you to skim the extra fat off, and the flavors to more fully develop. We’ve been imprinted to prefer kjötsúpa without grains, though, at the discretion of the cook, many suggest adding a handful of rolled oats, barley, or brown rice for a creamier, or more porridge-like texture. 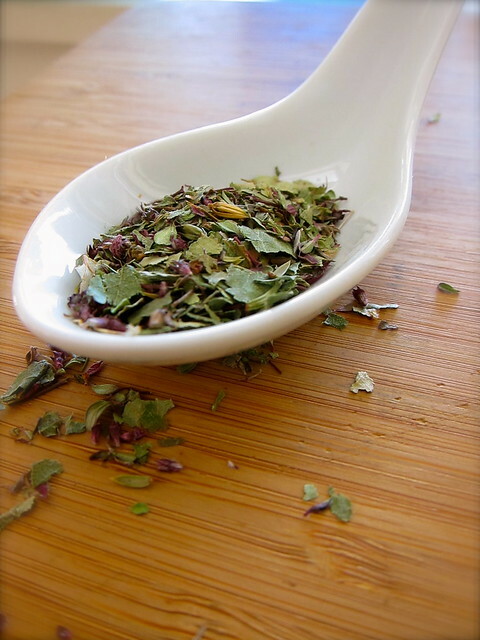 A note on the dried herbs: We used Villikrydd, a wild herb mix that we happened to bring home with us. It contains Arctic thyme, birch leaves, bog bilberry, bilberry and juniper, and is meant to go well with lamb. There’s a deep culture in Iceland of using herbs medicinally, and we wonder if this is part of this soup’s legendary healing powers. More readily accessible substitutes would be parsley, thyme, bay, celery or lovage. Local ingredients: Lamb from Riverslea Farm; rutabaga from Brookford Farm; cabbage from Meadow’s Mirth; onions from Black Kettle Farm; potatoes, carrots and celeriac greens from the garden. 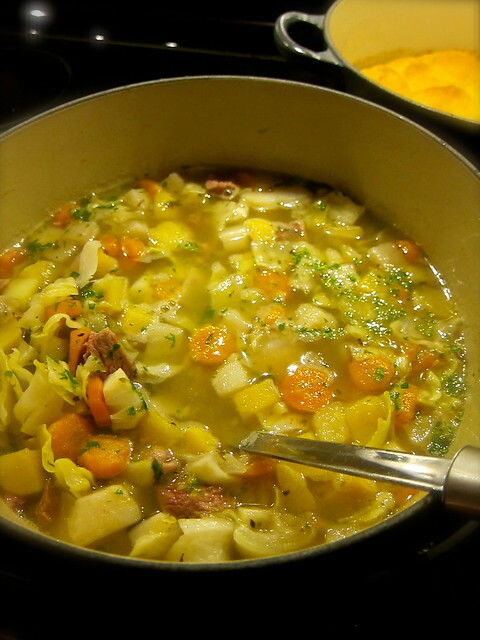 This entry was posted in cooking and tagged cabbage, carrots, herbs, iceland, lamb, potatoes, reykjavik, rutabaga, soup. Bookmark the permalink. This warms me up just looking at the picture! A warming soup always helps chase away the cold. This meal looks wonderful. I wish I had access to the original herb mix but will make do with substitutes. Thanks for sharing! I feel nourished just by looking at it. Looks delicious and your photos are beautiful. I’m looking forward to making this with our own Icelandic lamb, maybe for shearing day. For a bit more authenticity, you might try searching out a local source for Icelandic lamb as there are breeders of Icelandic sheep all over the U.S. Yes, if possible, using Icelandic lamb really makes this dish, and I feel fortunate to have it available locally! 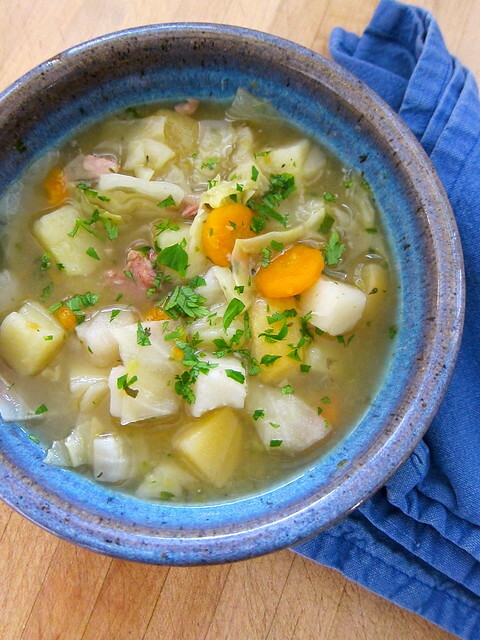 I think you’re right about the similarity and probably relation to Welsh Cawl and Irish Stew, equally delicious and warming! It’s fabulous. Just the ticket for this harsh winter weather. I fell in love with kjötsúpa last summer on our trip to Iceland! Thanks for sharing this. We’re having some today! You’re so right, Starr, the lamb in Iceland very much tastes of place and for exactly these reasons! However, I feel lucky to have access to lamb from local farms with these same practices! Thank you so much for your recipe. I fell in love with this simple, hearty and nourishing soup, and brought back a few packets of the “soup herbs” with me from Iceland, which I will add to your basic recipe. These are available in any Icelandic grocery store and are dried finely chopped vegetables. Unfortunately, the Villikrydd would not be allowed into Australia, so I will have to make do with thyme and parsely. I will be using organic New Zealand lamb which is the closest I can get to the Icelandic lamb. I cant wait to try it out! You are so very welcome! I try as many versions of this soup as I can whenever I visit, the latest variation I learned about comes from West Iceland where they add a splash of milk!